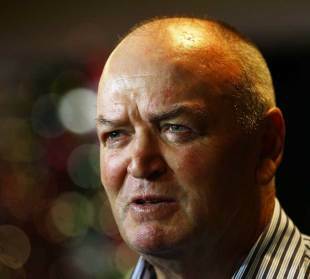 Sir Graham Henry has hailed the influence of the late Sir Fred Allen, the legendary All Blacks coach. Allen, who was unbeaten in 14 Tests as New Zealand coach between 1966 and 1968, died aged 92 on Saturday after a long illness. A former international fly-half and Auckland coach, Allen was nicknamed "The Needle" and held in high esteem both at home and abroad. Henry - who led the All Blacks to a second Rugby World Cup last October - fondly remembered meeting Allen on a number of occasions during his tenure with Auckland and the Blues. "We used to run into each other pretty regularly when I was coaching Auckland and the Blues and then in the early times when I was coaching the All Blacks and have a chat over a quiet pint after the game, he was a great guy to talk to because he had a pretty simplistic approach to the whole thing," he told ONE Sport. "Even when I spoke to him over the last few years he still had that edge to him and and you could see why they called him "The Needle". "It was influential when you were developing as a young coach and he was coaching the All Blacks. I was just finishing playing and starting to coach and it had an influence on you and it influenced the way the game was played and the tactical approach, the 15-man approach, he was very influential." Henry was joined in paying tribute to Allen by Wilson Whineray - a man viewed by many as the greatest All Blacks skipper of them all. "He was very intense in the nicest meaning of the word. He liked rugby to be played with precision, that's what he insisted on and he could be pretty grumpy about it," Whineray said.